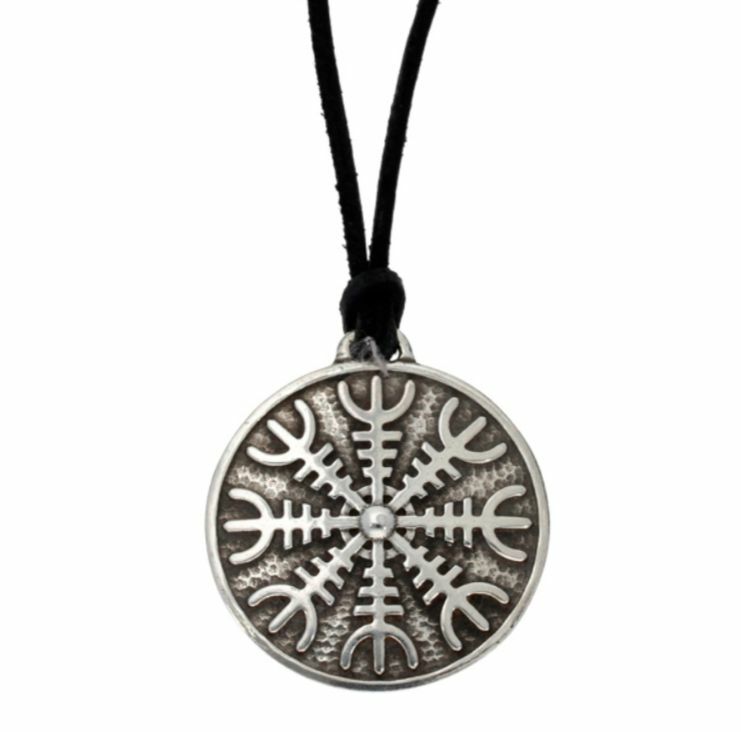 This Helm Of Awe Viking Symbol Pendant is expertly crafted with beautiful Stylish Pewter. 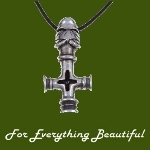 This pendant is a replica of the Helm of Awe symbol. 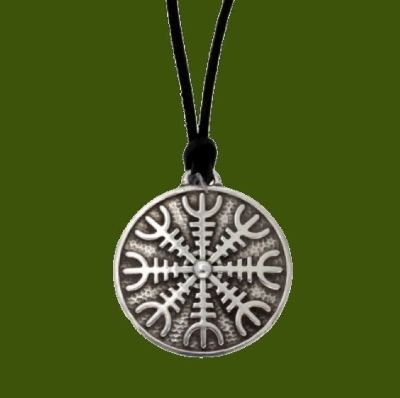 The Helm of Awe is one of the most powerful protective Viking symbols used not only for the purpose of protection from disease, but even to encourage all people who might suffer from depression or anxiety. In Norse myths it is said that the Helm of Awe symbol was worn between the eyes to cause fear in your enemies, and to protect against the abuse of power. This pendant measures approximately 35.00mm (1.37 inches) in diameter. A 30.00 inches (76.00cm) wax cord thong comes with this piece. Supplied in a satin and velvet-lined gift box.